Along the way, we have carefully included links to additional learning resources that you can use in your learning journey. Click the links to the right to find a host of Eguides, white papers and other educational resources that are designed to help you grow your recurring monthly revenue. What Is Recurring Monthly Revenue (RMR)? How Do I Calculate Recurring Monthly Revenue? What Is Recurring Monthly Revenue? Recurring Monthly Revenue (RMR) is money earned from customers who pay for a subscription to a service or product. It is the primary metric that is measured by subscription-based companies to evaluate the financial health of an operation, service, or campaign. In the security, PERS, fire detection, and IoT industries, recurring monthly revenue is often known as the lifeblood that makes the engine run; and it does. 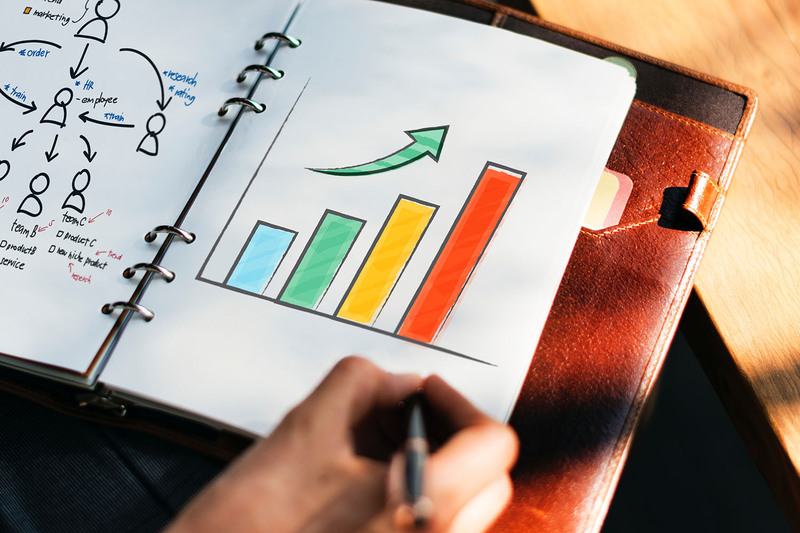 A monthly-charged revenue stream helps to deliver a steady baseline for more predictable financial tracking and it reduces the need to make a high number of one-time sales. How Are Subscriptions Different From One Time Purchases? The downside of RMR is that subscription-based businesses have to work harder to overcome retention and churn. This is because customers who pay subscriptions expect more service than customers who make one-time purchases and are more willing to leave one company for another when the level of service received does not meet the expectation. Monthly-subscriptions are analyzed strictly by customers and risk being dropped by customers if they are not considered a necessity. This is especially true now that more DIY technology is available than ever before. Professional companies have to be creative in order to invent new ways to earn and retain customers longer. The question to be asked, then, is: Why should consumers pay for a monitoring subscription when they can monitor the technology themselves? In order to grow successful businesses, RMR-based companies need to answer this question in creative and unique ways so that consumers will be attracted and incentivized to stay rather than being forced. To calculate RMR, you must first know what the average revenue per account is. If one customer pays $50/month and another customer pays $80/month, You simply add them together and divide the sum by the total number of accounts (See box for example). 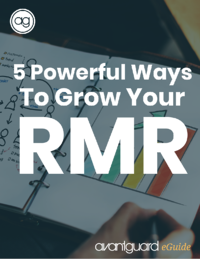 In order to increase your RMR, according to this model, the two factors that will influence your results are average monthly subscription costs and total number of customers. Therefore, you can purposely deliver a service that is more costly but that delivers greater value knowing that fewer people will hire you to provide that service. The challenge with this model, however, is the greater you charge for your service, the higher value it needs to provide; and you need be capable of delivering that value. On the other hand, the cheaper you make your service, the less additional services you will be able to provide while staying profitable. In addition, you will need to attract a greater number of customers. And with both of these strategies, you need to retain customers longer. So without further adieu, here are five tips to increase your RMR. The first tip for increasing your RMR is to cultivate confidence between your product or service and your potential customers. Research has shown time and again that customers who feel most confident with the products and services they purchase are generally more loyal to the brand and stay loyal longer. The best part for you, is confidence can be cultivated in several different ways. Some companies focus their efforts on delivering a brand promise that eases buyers’ concerns. The North Face, for example, promises lifetime warranties on their products. If a seam on a jacket comes undone or a defect appears somewhere on the product, The company promises to replace the product often with the newest version of the same item. Because of this promise with the frequent overcompensation on replacements, buyers don’t feel as much trepidation when they spend $500 on a high-quality winter coat. If you want to attract customers that stay longer, try offering free demos, but don’t offer free trials. Free demos are more effective than free trials because they offer an opportunity for a sales rep to deliver educational, helpful information that answers the questions of an investigating consumer. Free trials, on the other hand, remove the helpful salespeople from the situation while giving consumers free service for a certain period of time. An important item to note is a salesperson is an educator first and a salesperson second. Their primary goal should be to educate the consumer about the product first, answer questions consumers may have second, and discover how they can help the potential buyers along their journey last. Customers who receive free demos or consultations are often better prepared to purchase the product or service and feel more confident with it when they have it. In addition, they are less likely to drop the service than someone who gets a free trial because they know how to use the product, and they aren’t there for the free stuff. Free trials attract a unique type of customer that is not beneficial to a subscription-based company. To better visualize this concept, consider the Buyer’s Journey which consists of three different stages. The first stage is Awareness. This is when the consumer realizes they have a problem that needs to be solved. The second stage is Consideration. In this stage, the consumer has defined their problem and begins researching options to solve the problem. This is when people go to Google to ask questions, watch videos and read articles. The consumer wants as much educational–and unbiased–material as possible to feel they have made the right decision. The final stage is Decision. Once they have finished educating themselves, the final stage begins and the consumer chooses a solution. Your job, from the beginning of the marketing efforts, to the final purchase, is to educate buyers and prepare them to buy. The more prepared they are, the more confident they will feel with their purchase, and the more capable they will feel when they need to operate their products. The second step to improving customer confidence is to simplify the customer experience. In addition, your sales people need to get out of the buyer’s way. High-pressure sales tactics are long-disproven and do not produce happy customers. In fact, they have been demonstrated to drastically reduce the expected lifetime of a customer. The best marketing materials and sales people, as mentioned before, help to simplify the buyer’s journey by removing as many obstacles as possible. That means making educational resources simple to find, simple to consume and simple to follow up with. Reciprocity is a term that is investigated in Robert Cialdini’s book, Influence, which is now a primary guide for marketing and sales professionals. In it, he explores the various ways people convince others to buy services, products, and even ideas. On reciprocity, he explains, “The rule says that we should try to repay, in kind, what another person has provided us.” Meaning, that a free item or service comes with a psychological price. Recipients of free items typically feel an obligation to reciprocate the action by complying with future requests. A fascinating application of this principle is found with a company called Zappos, an online shoe store that sold to Amazon for $1.2 billion in 2009. After a customer purchased a pair of shoes, Zappos would frequently upgrade the shipping order to last only one day instead of the standard three to five business days, making a very positive surprise for the customers when their packages arrived several days early. If you were a first time customer to Zappos and found that they had automatically upgraded your shipping order, would you not feel compelled to order from them again? Of course you would, because who doesn’t love being surprised with one-day shipping without the extra cost? This very same principle can be applied to your business in one form or another. What you have to realize, however, is the rule of reciprocity is a long term game, not a short term one. A company that recently surpassed $1 billion in annual sales knows that incurring an extra cost on shipping now will make customers want to shop with them again later, but they don’t get to decide when later is. And the best part about this is, when companies find unique ways to delight their customers, their customer lifetime value (CLV) increases. Because of this dedication to delighting customers, Zappos’ infamous customer service quality has set them apart in the market, making them one of the most popular online stores to date, and customers want to keep being delighted by the unexpected service, simply because the rule of reciprocity tells them to. The next tip to increasing your RMR is to develop a method or program to engage your employees in the work they perform. Positive employee engagement directly correlates with meaningful customer experiences. In the graphic by Intuit, makers of software like Quickbooks and Turbotax, a hierarchy of employee needs are clearly labeled. 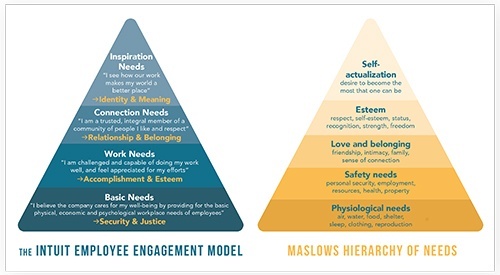 An adaptation of Maslow’s hierarchy of needs, Intuit’s pyramid demonstrates the different levels of engagement employees can experience in their work. Based on the graph, the goal of employers is to satisfy every need so that their team members eventually feel that where they work makes the world a better place. And before they can feel that, each of the needs below needs to be satisfied. This is a concept that reflects a person’s personal identity and meaning in life. It argues that companies should produce truly beneficial products and services while treating people fairly along the way. In the case of Zappos, employees feel genuinely engaged with their work (in general) and feel excited to provide their services because they know they are doing things differently and working to delight their customers. Every company will have setbacks and not everyone will fit the company culture, so strategic hiring practices should be implemented to find the people who fit best. 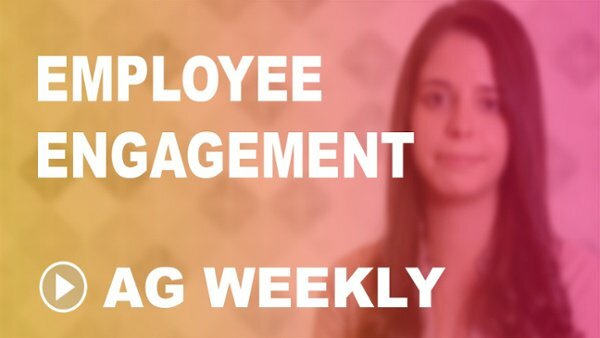 If you don’t know how your particular employees want to feel engaged in their work, just ask them. Find out what is important for them to experience in a workplace setting and come up with creative ways to make it happen. The most important part of this process, however, is you must be willing to implement your findings and keep up with your promises. There is nothing more disappointing than an employer who makes endless promises and never follows through. The third tip to increasing your RMR is to provide educational resources for customers and focus on nurturing renewals, not begging for them. Consumers who feel that your product and service are worth paying for will continue paying for them. So, you need to deliver something that makes customers need and exceed expectations along the way. If you promise something, make sure you can exceed your promise. That might mean promising less to begin with, but as your capabilities expand, you should offer more. You goal as a subscription-based business owner is to nurture your existing customers so they want to return. People who feel engaged with a product or service will stick around longer. So to nurture them, offer free content that teaches them how to get the biggest bang for their buck. If you install a high-power security system and only teach them how to use a few features, you are missing several opportunities to make them experts of their product. New smart home technology makes scaling base features very easy. If a customer only wants to install a basic security system on a scalable control panel, then begin offering them materials about how they can use their existing panel to activate more features like thermostats and even remote-controlled lights. If you sell PERS devices, make sure the children know how they can use the device to best monitor their parent’s well-being. With a decent smartphone, you have the capability to make quick and simple videos describing how to use a product and how to get the most out of it. You can feature additional products, offer product reviews, give tips for evaluating technology and offer any other expertise you may have in your field. Buyers respect authority figures and will pay extra money to work with someone who knows what they are talking about. When you finish making a video, simply upload it to Youtube or Instagram and share it on your website. With the proper use of hashtags, descriptions and titles, your videos can be found by people who are trying to find solutions to their problems. An excellent supplement to videos is a healthy blog. In a blog format, you have the opportunity to target specific keywords and answer questions that customers may have as they look for solutions to their problems. If you have thoughts on alternative solutions to the service you provide, you can share them in a blog post. For example, if someone wants to search for a DIY alarm system for their home, make a blog post about the pros and cons of a DIY system. A well-balanced article will demonstrate your authority and people will perceive your to be a fair person. Overly-biased content can give people the impression that you are deceitful, or not very knowledgeable. To get started, first consider the question someone may be asking themselves and searching on Google. Use this question and make it your blog post title. Then go through the article answering the original question while providing links to additional resources on your website and others. You may even consider including relevant questions that your readers may not have considered. Social media is an obvious and powerful tool that you can leverage to post links to your blog and videos while offering quick snippets of information to your followers. Social media requires a lot of attention and effort to keep up; but when properly executed, social media will provide meaningful returns on your web page visits and content engagement. Schedule your posts in advance with free tools like Hootsuite and you won’t have to spend so much time everyday on social media. Email blasts do not need to be another big strain on your day-to-day activities. Email service providers like Mailchimp offer powerful ways to automate campaigns that welcome new customers, follow up on form submissions, introduce new products and services and even wish your contacts a happy birthday. The best part about email is that many of the entry-level versions are free to use. Like a social media campaign, you should make your emails and automate them as much as possible so you don’t waste too much time. A well-configured email campaign can make customers believe you have a full-scale marketing team when you don’t. The next tip to increasing your RMR is to work on producing positive referrals and reviews from your customers. If your sales people and technicians deliver the right kind of customer service that buyers want, you will be able to reap the benefits in a few different ways. The first way you can reap the benefits of good customer service is to establish a formal referral program. In this program you can offer discounts to referrers and their friends. Hundreds of companies have already used this strategy to leverage their customers’ individual network connections combined with discounts and rewards. In an article about the best referral programs, the author gives brief examples of different ways companies used the power of referrals and incentives to boost their sales. In one example, Dropbox, a cloud storage provider, launched their referral program which offered 500mb of free storage to the person making the referral AND the new referred user. Because of this exciting, and useful referral program, Dropbox saw an increase of 60% in their user base in one year. 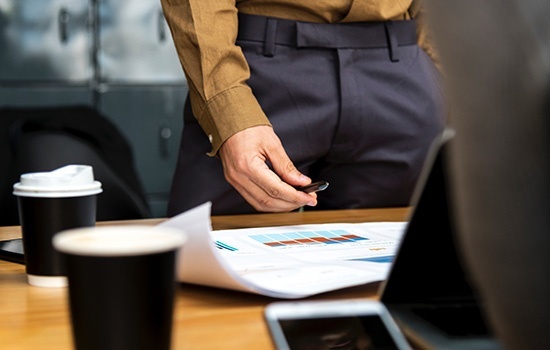 While referral programs take advantage of the power of existing network connections, a review campaign will help you utilize the power of group affirmation. First consider your own buying process. If you were to purchase something online on Amazon or Zappos for example, how would you go about making sure your purchase will not go wasted? One method buyers use is to read through user reviews. If one item has 2,000 reviews with an average of 4.2 stars and a similar item at a cheaper price has 1 review with 5 stars, which one would you buy? If you were most consumers, you would buy the first item. That is because it has the greatest level of public approval. To get started on your review campaign, make a list of customers who had a good customer service experience with you, or who you think you went the extra mile for to make sure they got the service they needed. Once you have this list created, you can begin using your email automation system to invite them to give you a review. Click below to create a custom link that takes users directly to your business listing. You can then use your newly generated link to begin your review campaign. In addition to leveraging the positivity of your satisfied customers, you also need to work on resolving issues that cause your customers to defect. To do this, you can create an exit survey that consists of one or two questions to get people to respond. Long surveys don’t get finished very often, and when you are asking for feedback from leaving customers, you need to make them even shorter. In your survey, you should ask why they are leaving. You should provide specific answers for them to select from. This keeps things simple and makes your data measurable. If you only offer a single text box to give feedback, you will have to spend ten times the amount of time decoding the information into solidified categories. After the multiple choice options, you should include a text box where they can add additional thoughts. In this space, you can collect the more personal answers that may reveal specifics into their experience with your company. 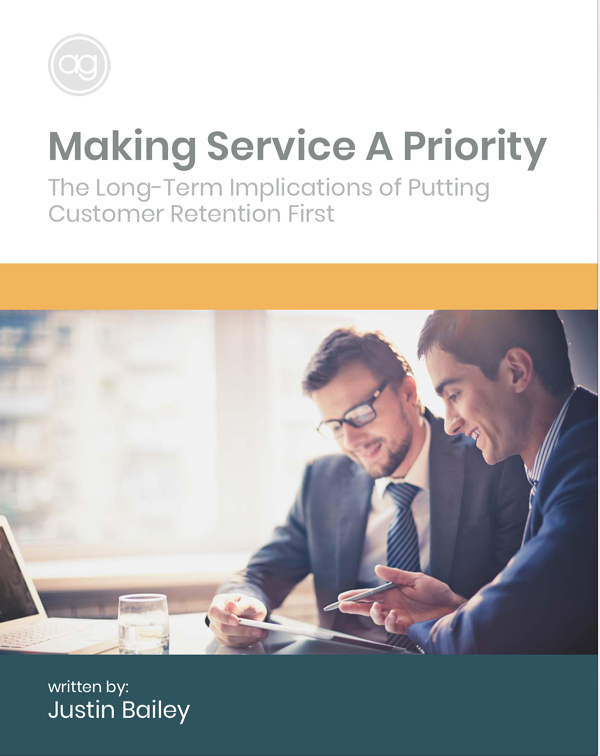 The goal of providing an exit survey to your defecting customers is to patch the holes in your retention and extend the lifetime of your customers. In a brilliant Harvard Business Review article, titled Zero Defections: Quality Comes To Service, the author demonstrates how one credit card company used exit surveys to discover why their customers were leaving. Using this method, that credit card company put all of its focus on customer retention and grew profits exponentially. In fact, they found that retaining just 5% more of their customers increased profits by up to 100 percent. The goal of this information is to help you construct a business that provides meaningful experiences to its customers. At AvantGuard, we truly believe that being in good company helps produce the best business results. Although business is traditionally known as an amoral enterprise, people like to work with prosocial entities, and will even pay extra to do so. As you consider the next steps for your business, remember that you don’t have to reinvent the wheel, you just need to make a better wheel.